PRE ORDER now and recieve a FREE Aurelia download. 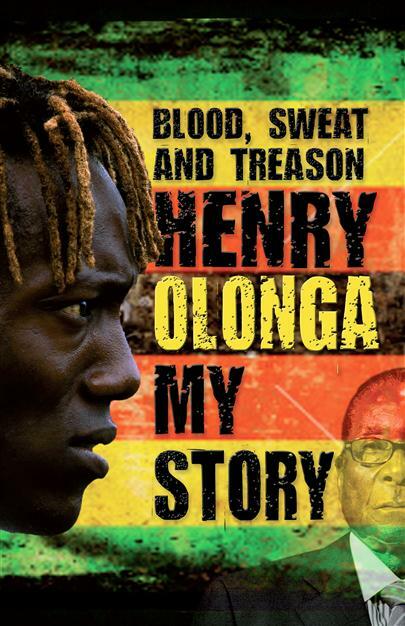 Sports book meets real-life thriller in this sensational autobiography of Henry Olonga, the former Zimbabwean cricketer whose black armband protest against Robert Mugabe at the 2003 World Cup saw him branded a traitor, accused of treason in his absence and forced to dramatically flee his homeland and his family. Blood, Sweat And Treason tells the story of Olonga’s childhood, of his gradual realisation that he was living in a country ruled by a dictator, of his battle to reach the top as a black cricketer and, ultimately, how he sacrificed that position to do something that he hoped would make a difference. Henry Olonga put his life at risk, but he got the chance to make a new life in England. In this incredible book he tells his extraordinary story in pin-point detail, leaving nothing to the imagination. I was asked by one of the organisers (Wolfy)of a borough wide church meeting to make a short video of ‘the Lord’s prayer’ in various areas of the borough.This will be shown at the Hammersmith town hall in about a couple of weeks. I went out with a nice cast and we filmed in a few local locations.I will update this post with the finished video when it is done.This time I left the SGblade and the HFS10 behind but instead opted for the Sony SR11 and the portable Cineform recorder.Attached to a Gorillapod the setup was nice and portable and no tripod was used.Made for a nice change.This setup also did not attract too much attention either so the smaller the package is the more discreet the shooting and I loved that today.I have updated my cineform recorder as well so it is more robust now.Man tyhe number of times I wished it was a light portable GH1 – recording to cineform. For those who may be interested – I did a religious programme on the BBC recently called all things considered and basically tell a few of the things I have experienced in my busy little life..